Manchester United striker Romelu Lukaku appears to have dropped a subtle hint over a future transfer to Juventus. 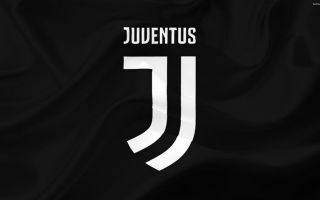 The Belgium international has heaped the Turin giants with praise for the project currently underway at the club that has seen them become, in his view, one of the top two or three teams in Europe. Lukaku, who has an incredible 221 career goals for club and country at the age of just 25 also hinted he’d be happy to one day play in Serie A, with this combination of quotes perhaps one to get Juventus fans very excited. ‘Why not? I hope so,’ the Red Devils star told Gazzetta dello Sport when asked about playing in Serie A, with translation from Goal. ‘Juve have a great project in place and they just keep going. Every year they try to get stronger. Romelu Lukaku to Juventus in the future? Despite some inconsistency during his time at Old Trafford, there can be no doubt that Lukaku is one of the finest finishers in the game at the moment. The former Everton man has scored wherever he’s played, and his combination of pace, strength and composure makes him almost the perfect centre-forward. One can easily imagine Lukaku shining at a club like Juventus, though they are not exactly in dire need of new attackers at the moment having been able to afford the luxury of offloading Gonzalo Higuain this summer to make room for Cristiano Ronaldo.